The minute I saw this weeks challenge I thought of this image but I was sure that I had shared it already. Imagine my surprise when I realized I hadn’t posted this yet. 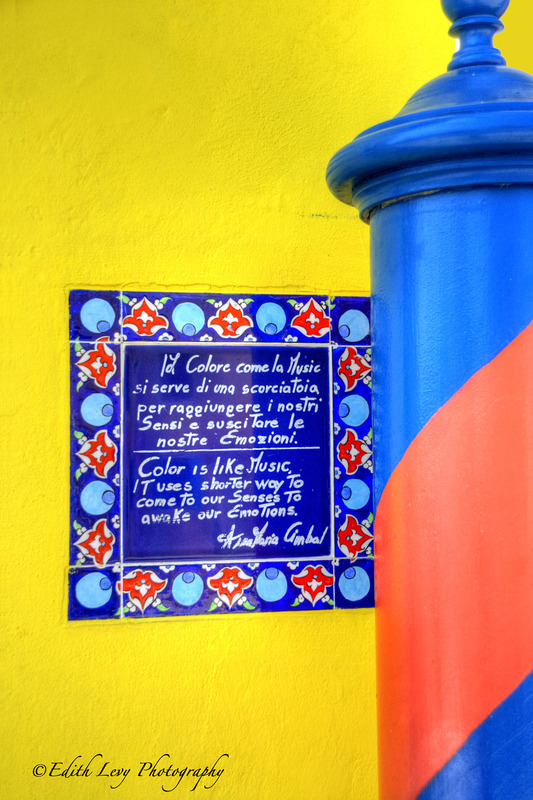 We saw Woody Allen’s latest film this weekend, To Rome With Love and that of course made me go back to some of my Italy images. 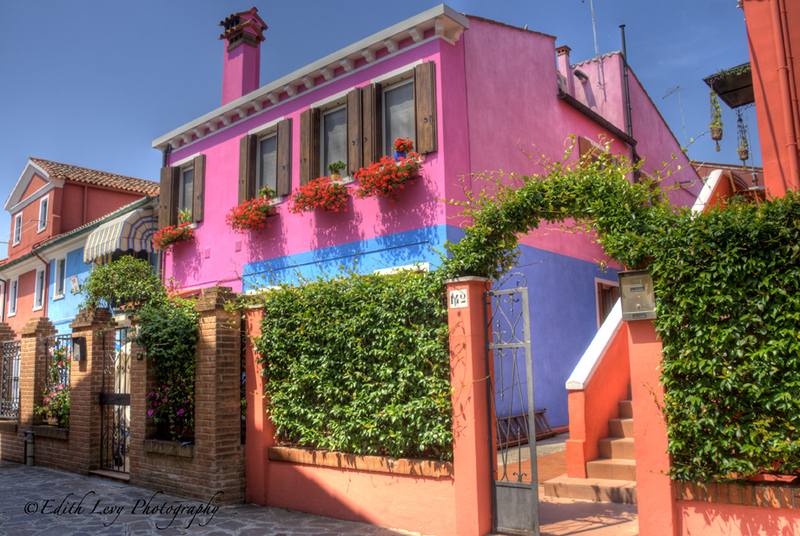 There’s still so many I haven’t shared so I thought I would take you back to Italy today and the beautiful, colourful island of Burano. 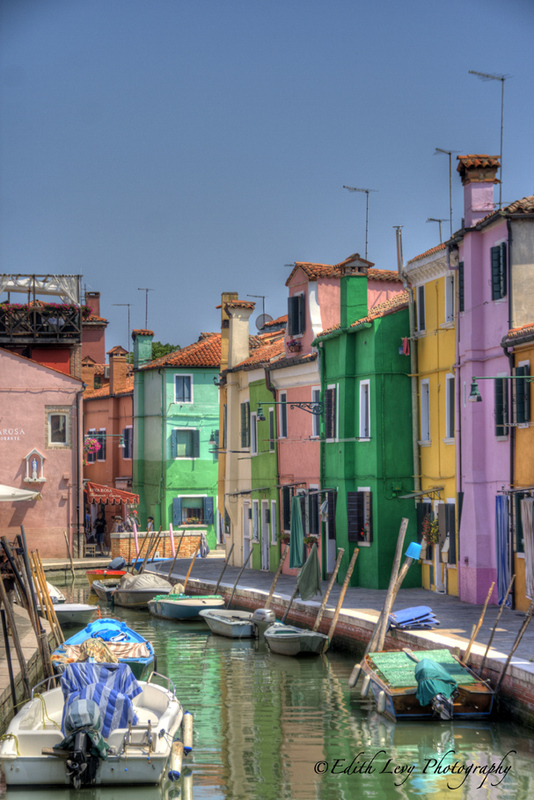 Burano is located in the Venetian Lagoon. The island is approximately 11km from Venice or a short 45 minute veperatto ride (water bus). This image is not an HDR. I processed the RAW file through OnOne Perfect Effects and then used Topaz Adjust 5 to create a bit more detail in the buildings finishing it up in Photoshop. Click on the image to enlarge (it does look better) or to purchase a print. 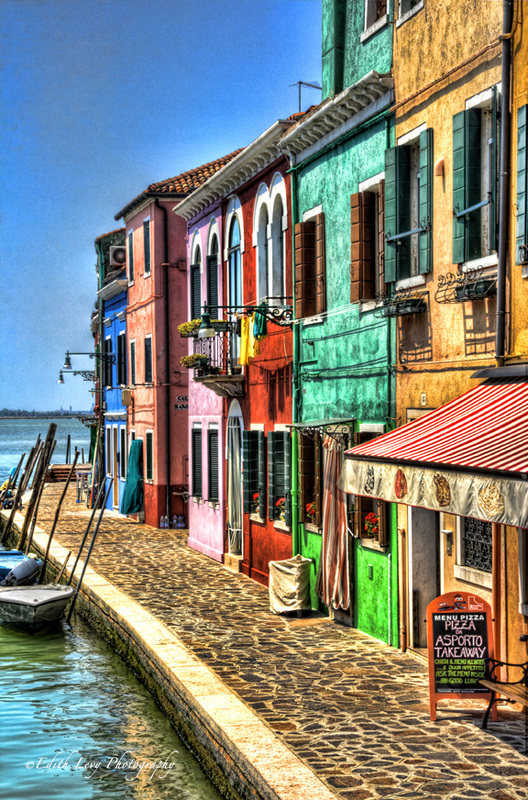 The Island of Burano is about a 30 minute vaperatto (water bus) ride from the San Marco station in Venice. Maybe it’s longer…to tell you the truth there were a few stops in between so I lost track. 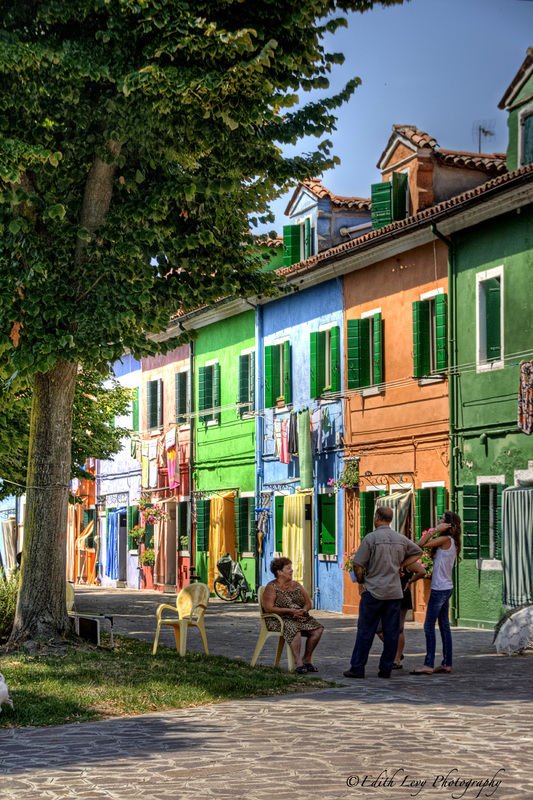 The guide book says that if you were going to pick between visiting Burano, Murano or Torcello, the Islands of the Lagoon (Laguna Veneta) to pick the former for it’s a picturesque village with bright colored painted houses and known for its lace-making. They were right. 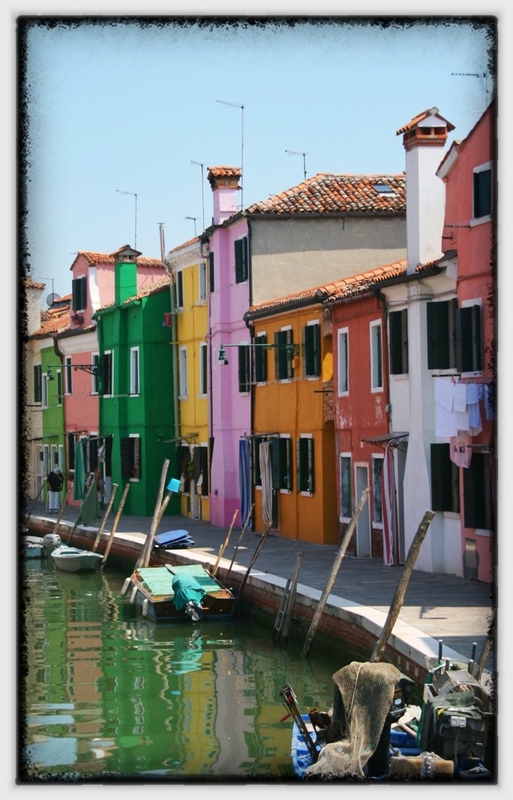 Each narrow canal was booked ended by streets lined with pretty little homes each in a different color. Local residents could be seen sitting outside their homes enjoying a beautiful Sunday morning. 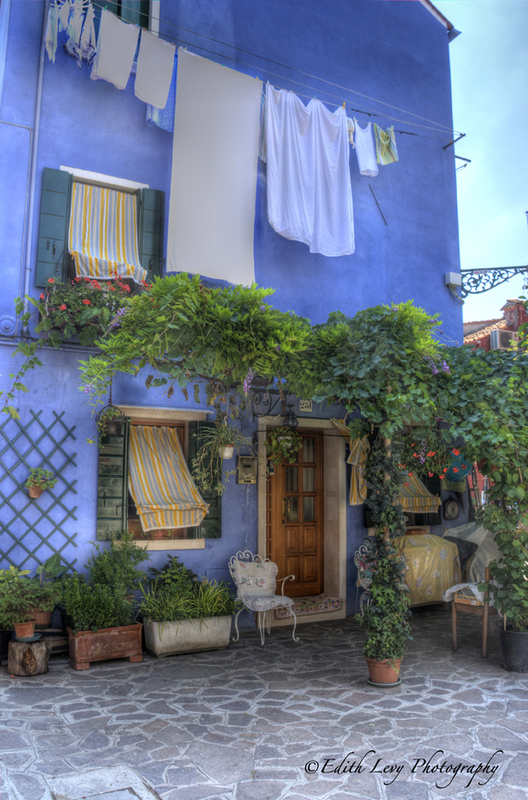 Back in Venice….had to include this shot. 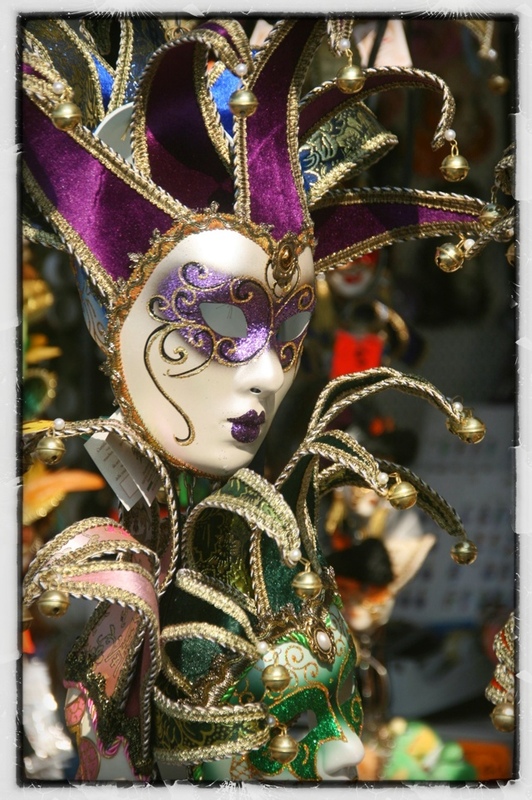 Everywhere you looked merchants were selling the Comedia Del Arte masks. The different styles and colors are beautiful to photograph.